Not for use in or around water. The Tropitone® Curve Crescent Table/Bench with Light is a modern curved table or bench perfect for today's trendy resorts and luxury hotels. Curve is made from Rotoform, a marine-grade polymer product. 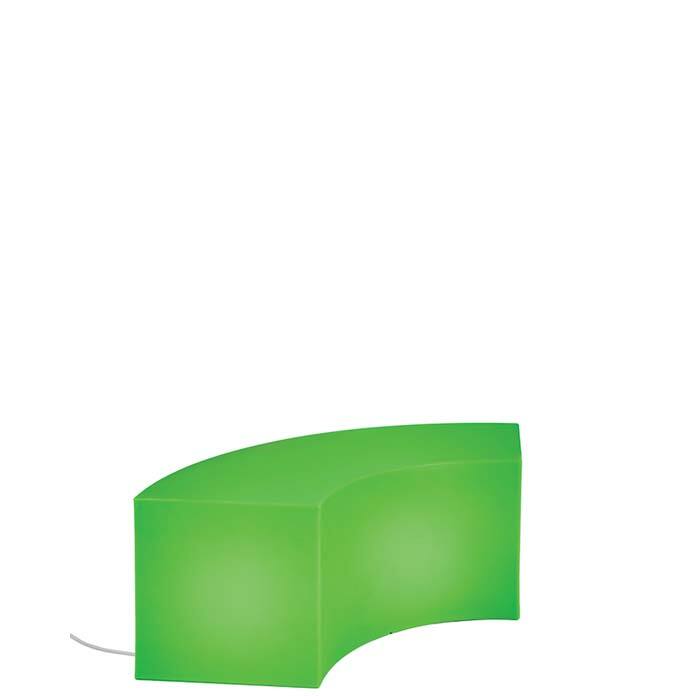 Available in several bright hues, the Curve Crescent Table/Bench will light up your outdoor space or walkway.